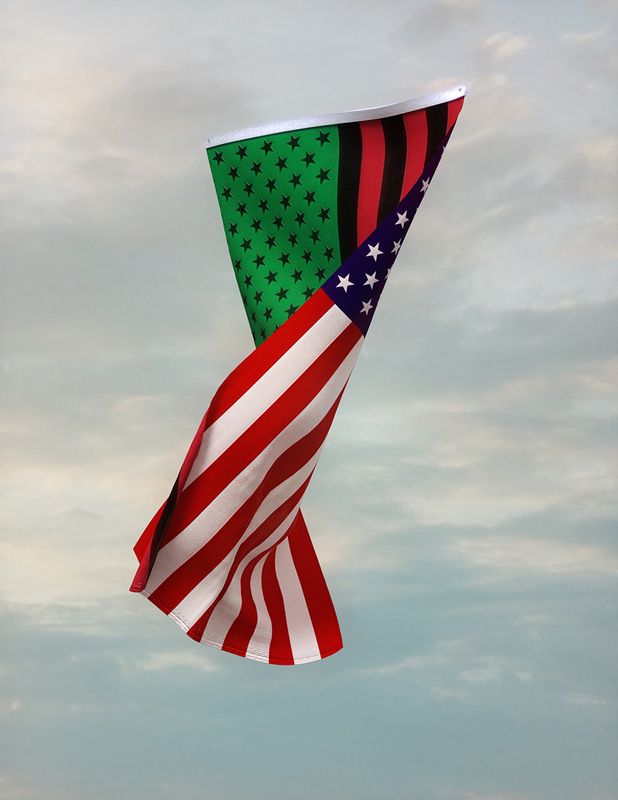 The flag is a fixed object of the past which needs to become more fluid and in conversation with our present. Often the flag doesn’t reflect the changes in the lives of Americans. Within the few weeks that I mused on this, Stephon Clark became the 79th unarmed black American killed by police since 2015, and Saheed Vassell the 80th. Should there be upside-down flags in their backyards and across Sacramento and New York City? In this age of big data and social media, it has become more difficult to filter out fake news and tune into our realities. Online hashtags are the “keepalives,” but in real life, it is out of sight, out of mind. We need more objects and experiences that embody America’s truths to be integrated into our daily lives and city streets/the fabric of our cities. It’s time to repurpose some of these flag codes to create more nationwide visibility, solidarity, and accountability for issues like police brutality or, furthermore, reimagine American symbols like the flag. Object Lessons is a new collaboration between AN and Façadomy that asks a diverse range of designers and artists to reflect on an object (material or otherwise) that has made a significant impact on their practice. Through personal anecdotes from notable practitioners, the series highlights the myriad ways in which the built environment informs our identities. Previous pieces have featured Nancy Davidson considering a weather balloon, and Gaetano Pesce reminiscing on using a Giacometti sculpture for a coat rack.